A wireless soundbase for stand-mounted TVs. 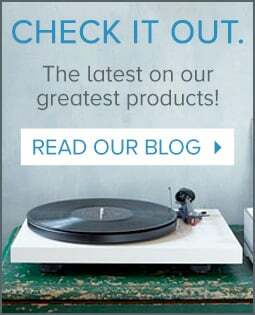 If you have followed Sonos throughout their history, you know them as a pioneer and leader in music streaming products. They were one of the very first and best to create products that stream music through a combination of great hardware and software. A few years ago, they added the PLAYBAR to their stable of products: their first home theater component. Following soon after, the SUB, an add-on external subwoofer, was designed to enhance the bass performance of the PLAYBAR. What you may not know about Sonos is that they strive to limit the number of products they release -- even a 10-year-old Sonos product can be updated to their latest software. They want everyone to have an incredible user experience from both a sound and software standpoint. Most consumer electronics companies come up with a slew of new models each year, while Sonos does the exact opposite. 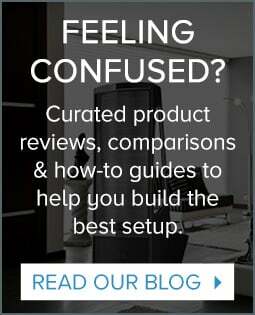 This philosophy shines through with their newest release: the Sonos PLAYBASE. Sonos spent nearly 4 years of research and development on the PLAYBASE. In a trip to their factory over 2 years ago, we saw a prototype of what would become the PLAYBASE while walking through their labs. As you might expect from the name, the Sonos PLAYBASE serves as a base for a TV, improves the sound from your TV system, and can serve up all the music in the world from the Sonos app. Sonos has far and away the lowest failure rate of any brand of gear Audio Advice has sold in our almost 40 year history. 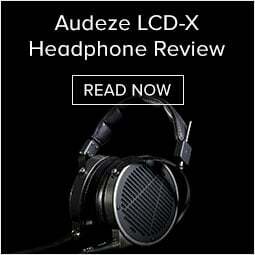 To say that their build quality is impeccable would almost be an understatement. When we got our pre-release model of the PLAYBASE, we were taken aback by just how heavy the unit itself is. In our factory tours we have done at Sonos, we learned they actually test every single unit rather than spot checking one out of every thousand or so like many consumer electronics companies do. They also put every unit through incredible heat/cold and radio interference testing to make sure it is truly built to last. Looking at the PLAYBASE, you can tell that it is designed for three types of TV set ups. It is basically a rectangle with the corners fairly rounded off. We think it will just disappear in most environments. The approximate dimensions of the PLAYBASE are 28 ¼” wide, 15” deep, and about 2 ¼” tall. From just a quick look, it appears that even the base for some 75” TVs will fit on top of the PLAYBASE. It will support TVs weighing in at up to 77 pounds! Or, with its very skinny size, it should be able to slide right under many of the TVs that have their feet on each side of the TV, provided of course that the shelf the TV is sitting on is at least 15 ½” deep. Finally, if your TV is currently wall mounted above a cabinet, you can simply put the PLAYBASE on the top of that cabinet provided it is deep enough. Looking at the back, you will find connections for power, ethernet, and optical cable. These are nicely recessed into the middle back side of the PLAYBASE. The front top has the standard Sonos buttons for play/pause, previous track/next track, and volume up/down. Finally, in a nice touch, there are six protrusions on the bottom side of the PLAYBASE that raise it up about ⅛”, but better yet, keep it from sliding around. Like the PLAYBAR, the PLAYBASE is as simple as pie to integrate into your system. It is designed to have your TV do all of your video switching. Your TV must have an optical audio out, as that is the only way to get TV sound into the PLAYBASE, but we can not think of a modern TV without this connection. It will perform better if the optical out from your TV can pass Dolby 5.1, which is something you should check out on your model, as some TVs only pass stereo and not full surround. As an FYI, almost all Sony models (our favorites) do pass Dolby 5.1 through their optical out. Once you make the single optical connection for sound, you can use either wired ethernet or WiFi to get it on your network. Controlling both the PLAYBAR and PLAYBASE could not be simpler. Using the Sonos app, you will be walked through a couple of steps where the PLAYBAR or PLAYBASE will learn volume and mute from your TVs remote control. Once you’ve done this, your system will basically be controlled exactly like you are used to with the added benefit of a huge improvement in sound over the TV speakers! Getting music to play through the PLAYBASE is also as easy as pie. For this, you will use the super cool Sonos app on your smartphone or tablet. This automatically switches the PLAYBASE to play back music. You will love the Sonos app for accessing just about any music streaming service you can imagine and/or any music on your home network. You can also stream Spotify directly from your phone to the PLAYBASE. Just like with the PLAYBAR, you can also enhance the PLAYBASE with either the Sonos SUB, for earth shaking bass, or a pair of PLAY:1 speakers for surrounds...or even both! Set up is super easy and you can add these now, or at any time in the future. The Sonos app has bass, treble, and loudness controls to fine-tune the sound of your PLAYBASE along with buttons for late night and dialog enhance. Another cool feature on the app is lip sync for shows where the dialog is not in sync with the picture. In addition, the PLAYBASE also incorporates the Sonos TruePlay system, which allows you to fine tune the speaker to the room. Their design goal was to create a great home theater experience inside a flat package that could also do a good job with music playback. We think that most speaker designers, given this really odd shape, would have just thrown up their hands and given up. But not with Sonos. Their research showed that over 70% of flat panel TVs are not wall mounted, so there definitely is a spot in the world for something shaped like the PLAYBASE. Heck, it is just the perfect form factor to place a TV on. Sonos set out to give the PLAYBASE the same audio performance, or better, than their best selling PLAYBAR soundbar. This was no easy feat considering they only had a little more than 2” of height to work with. Inside the PLAYBASE, you’ll find 10 digital amplifiers. There are 3 tweeters, 6 midrange, and one subwoofer. The subwoofer design took a long time to get the performance they wanted out of it. Sonos wound up using an “S” shaped tube to port the bass out of the left side of the PLAYBASE. In the typical fanatical efforts Sonos puts into squeezing the best performance they can out of all their products, they even fine-tuned the size of the holes in the speaker grill to get the best bass, making them just ever so slightly larger in front of the woofer port. They also did not want the deep bass coming out of the PLAYBASE to rattle in any way, shape, or form the TV that would be sitting on top of it. They literally spent months playing around with different combinations of polycarbonate and resin to produce a top plate for the PLAYBASE that was totally vibration free. Since we had an early sample of the PLAYBASE, Sonos did not want us to expose it to the public yet, so we were a bit limited in how we could test it right out of the gate. We had it back in our office area hidden away with no TV around, so our first tests were actually with music. We tried a variety of types of music and all five of us listening agreed, it sounded pretty good on music with an astounding amount of bass for its size. Then we did TruePlay tuning. What a difference! Depending on placement, we have found TruePlay to make from a small to a pretty decent difference. Even with the PLAYBASE in our room in a close to ideal position, TruePlay just made a huge improvement in the sound. Vocals got much more natural sounding while bass was far better defined. Being audio geeks, we were curious to see how the PLAYBASE compared to the PLAY:5 on music. Now we must say, this really is not a fair comparison as there is really no way to use the PLAY:5 with your TV, but we just had to compare. We plopped a PLAY:5 right on top of the PLAYBASE, redid its TruePlay tuning, and away we went. What we found, as you might expect, is that the PLAY:5 can reach deeper and play louder, but it is a smaller sonic presentation than the multi-speaker PLAYBASE. We think, just for music, the PLAY:5 is probably a better choice, but that is not really why Sonos created the PLAYBASE. We then moved the PLAYBASE to a home environment to test out how well it would perform as a soundbar. For this test, we used a Netflix stream of Hinterland, a great drama series, and the action film London has Fallen. And again, being the comparison geeks, we had a PLAYBAR on hand to do some quick back and forth comparisons with each of them sitting in the exact same spot. We played a section in Hinterland where they are conducting an interview out in a field. We could clearly hear the whooshing of the wind, and what was really surprising was how well some birds chirping sounded like they were about 10’ off to the left and way up in the air. The spacial feel was just pretty amazing. When a car door slammed, we could sense the bass compression. Dialog was super easy to understand. The sonic presentation really drew us into the content. During London has Fallen the PLAYBASE’s ability to handle deep bass impact while throwing out a huge 3-dimensional presentation was really quite amazing for its modest price of $699. When we compared the PLAYBAR, we found the PLAYBAR could play louder but did not produce the 3D sound we got out of the PLAYBASE. We also found that the dialog presentation in the PLAYBASE had a slight edge over the PLAYBAR. Of course, these products are really for totally different applications. The PLAYBAR will typically be used in a wall mounted situation, which is impossible with the PLAYBASE as the PLAYBASE is designed to have a TV sitting on top of it. However, if you are wall mounting your TV above a cabinet deeper than 15” and you do not mind giving up some space on the top of your cabinet, we would probably go with the PLAYBASE. If you are using just your TV speakers or an inexpensive soundbar of some sort, the PLAYBASE will be a HUGE improvement. It is super easy to install in most applications. You’ll vastly improve your movie and TV experience while at the same time opening up the world of streaming music. The ability to upgrade with the SUB for even deeper bass and a pair of PLAY:1’s for full surround is pretty cool too. We do have to caveat, as with every single all-in-one soundbar type unit we have tested, if you have the space and budget for separate home theater components, you will get an even better experience, and in many cases, by a huge margin. After testing the PLAYBASE, we went directly to another system using an $1,000 receiver and about $2,000 worth of speakers and played the same content. The difference was not subtle at all, but tremendous. 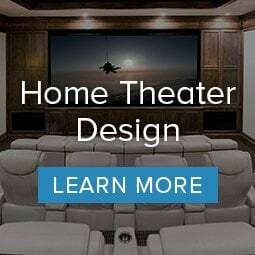 There just is no substitute for a separate home theater receiver and great home theater speakers. But on the other hand, you can’t buy all of that gear for $699 and fit it in 2” of space under a TV! The PLAYBASE was made to fit right under most TVs. We love the way they were able to incorporate pretty amazing home theater sound into something so flat. Plus, the smooth industrial look should fit well with just about any type of decor. One of the first things we noticed was how well the PLAYBASE could present a sound far larger than its size. We were hearing effects that sounded like they were 10’ or more off to the side with great front back depth. A truly spacious sound that up till now was unheard of in a TV base type design. Sonos developed TruePlay a couple of years ago to match the speaker better to the room. It is simply amazing the improvement TruePlay gives to the PLAYBASE, even when it’s in an ideal environment! TruePlay will only take you about 2 minutes to set up, and the fact that Sonos keeps figuring out how to make it even better and pushing out updates is just an outstanding feature.